From Friday April 5th 2019, our pricing will transition to a new structure. The pricing structure will be a subtle increase across the board. Our ‘shop’ prices will only see a some small changes, with the biggest changes to come for our custom quote by file service. Our minimum price per file for vector orders will increase from $20 to $28 (all prices are ex GST). This means that if you place a custom order (via our quote by file service) and the price for a file is less than the minimum, it will automatically be rounded up to $28 for that file. If you’re a regular customer and your files are typically quoted higher than $28, this will not impact you. This change will have the biggest impact on small files (for example, simple shapes that use less then 295mm x 50mm of material), as instead of being rounded to $20 they’ll be rounded to $28. We will proof your file/s and tell you if there are any errors that will impact laser time, costs and end result. We will flick you back an email with what we’ve found so that you can modify your file/s and re-submit. Depending on our workload and how many errors we find, we may be able to change them for you, but will more commonly return your files for you to correct. Don’t worry, we’ll usually provide tips on how to correct the error/s. Your file fits within the useable material area (files with a height >295mm simply won’t fit within the material sheet). There are no double cut lines (these are an easy mistake with a big impact; literally doubling your laser cut time charge AND scorching your pieces). Our minute rate for the lasers will increase. Good to know: we have two laser machines; a larger/faster/more powerful laser machine, and a smaller/slower/less powerful laser machine (best for fine detail work). At our discretion, we opt to run some jobs through the slower machine because it is more suitable for that job (such as it will yield a better end result). The price of mirror acrylic will increase for vector and shop orders – it is very difficult for us to work with! It’s stunning, but sort of re-sticks together after being laser cut, meaning more handling time for us. It also tends to warp and melt/burn resulting in more time needed to recut any effected pieces.  The price of chunky glitter will increase for vector and shop orders – it is challenging to order and is so dense that it is much slower for the laser to cut through! And the AUD value dropping over time means international supplies get more expensive. Good to know: there is only one company that makes chunky glitter. They’re based in the US and every sheet/colour is made to order. We order months in advance (so that we hopefully don’t run out of anything) and get a palette load shipped over at a time (to save $$$). The price of premium glitter will increase for shop orders – it is so dense that it is much slower for the laser to cut through! Our bulk order discount structure will be different. We’ll no longer be offering discounts for orders >$1000. Our discount for orders $500+ (ex post, ex GST) will decrease from 10% to 5%. Why? Our average total for orders sits below these minimum thresholds and we want to offer more accessible discounts for more customers instead. We will be implementing areorder discount for lasering reorders of the same file and in the same material that you ordered it in previously. E.g. you had a file cut in white 3mm solid acrylic and want a re-order, we’ll have that file set-up ready to go on our end. It’s simpler for us, and we can pass that saving onto you. This will be effective for orders placed AFTER the change (so any orders from the 5th will be eligible for reorder discount). Important distinction: this will not apply for lasering the same file in a different material (as it’s not a ‘clear cut’ reorder). We DO want to look at offering a modified reorder discount structure in future (but need to look at how to make this a smooth procedure first).